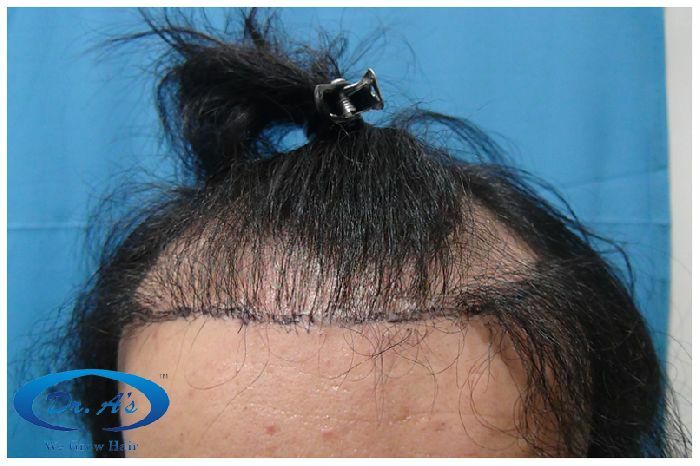 A98- (nickname), (Repair) underwent 1514 FUSE/fue (Scalp=1276, Beard= 238) grafts. 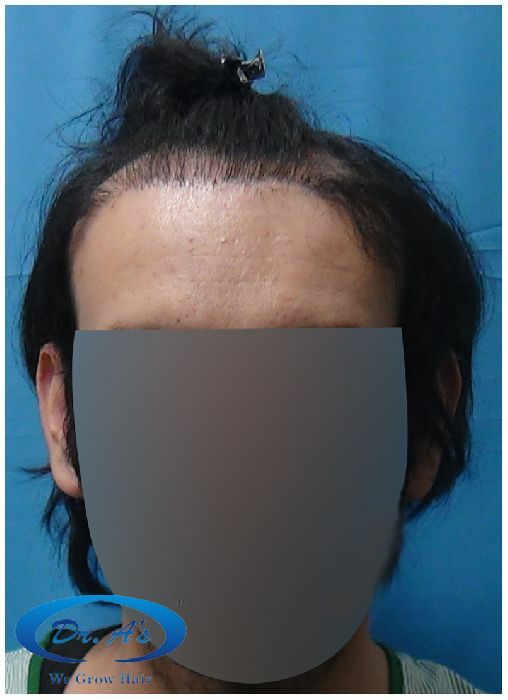 7 months update. 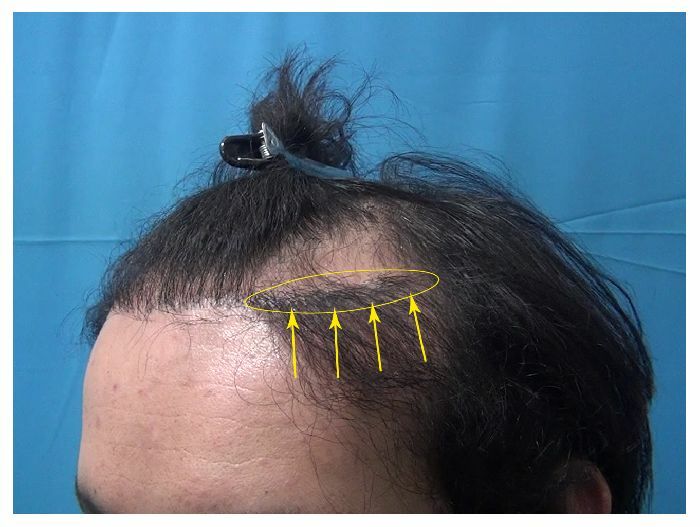 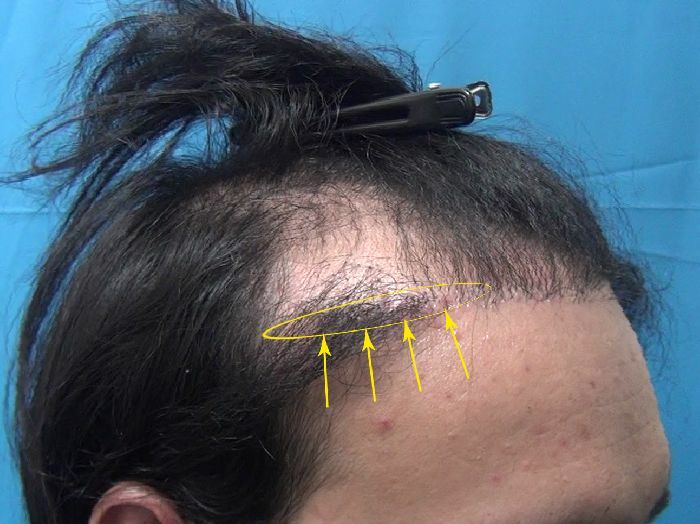 Arrow marks the hair transplanted by some other clinic (too low and at wrong angles). 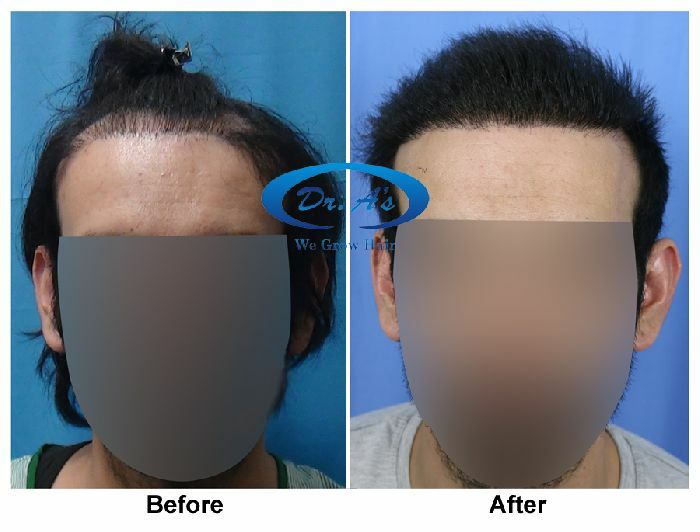 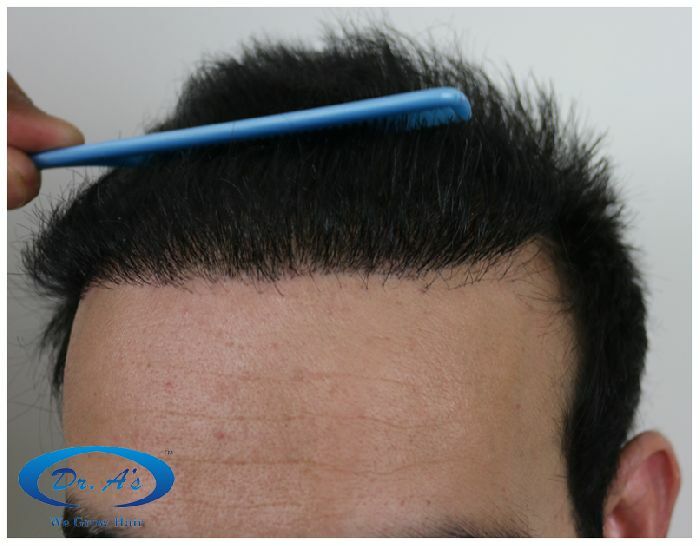 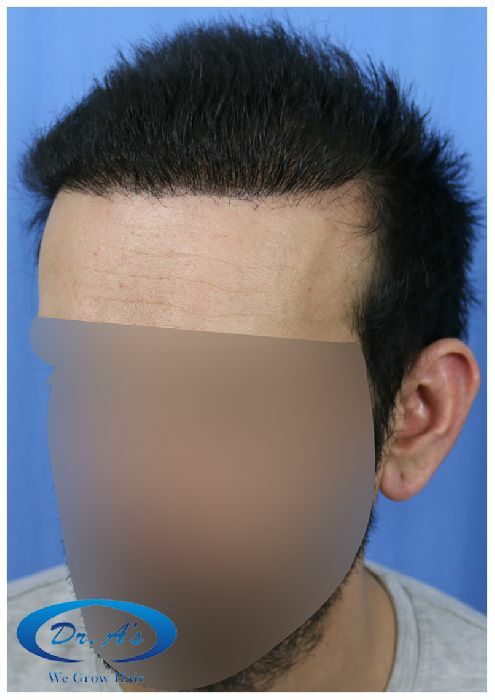 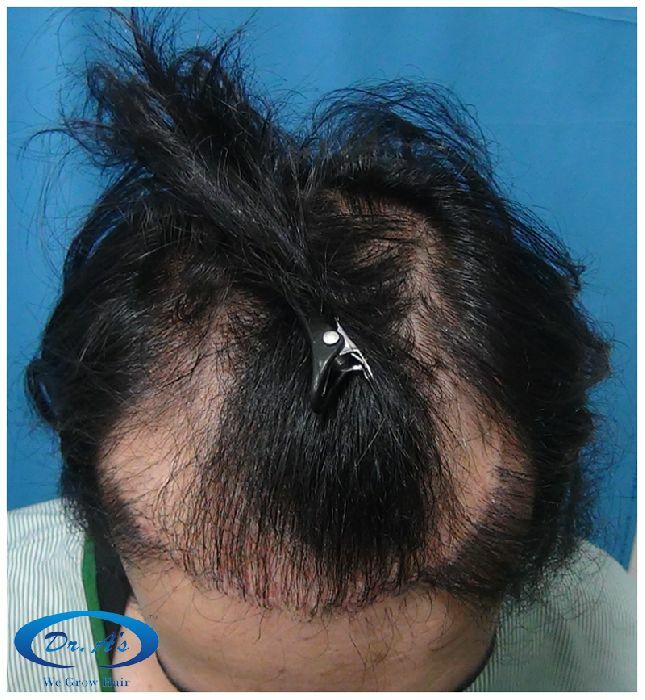 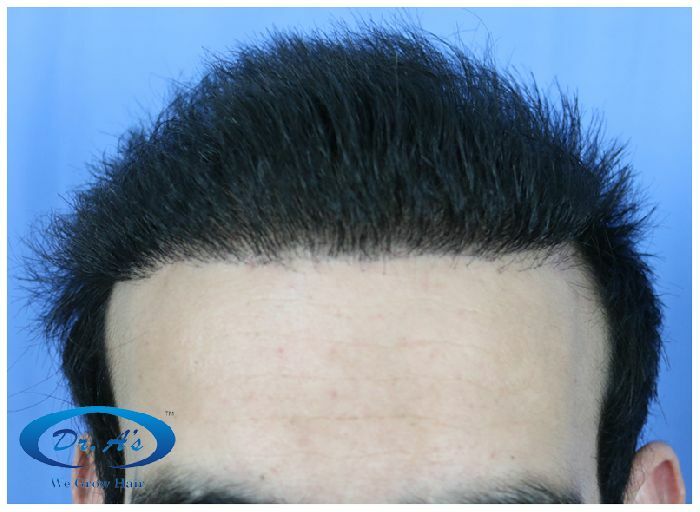 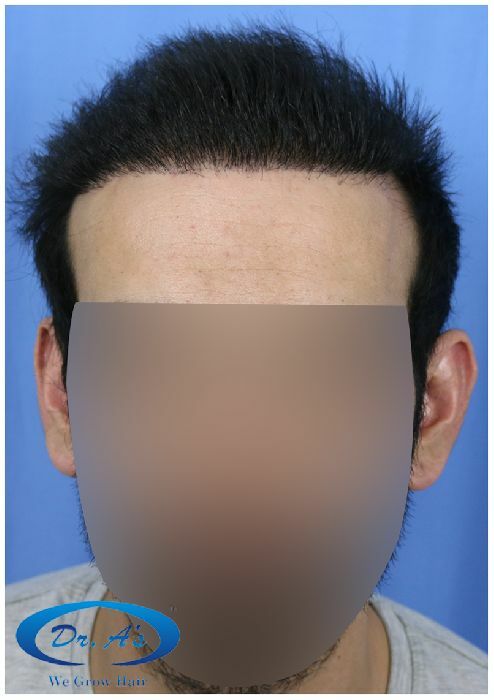 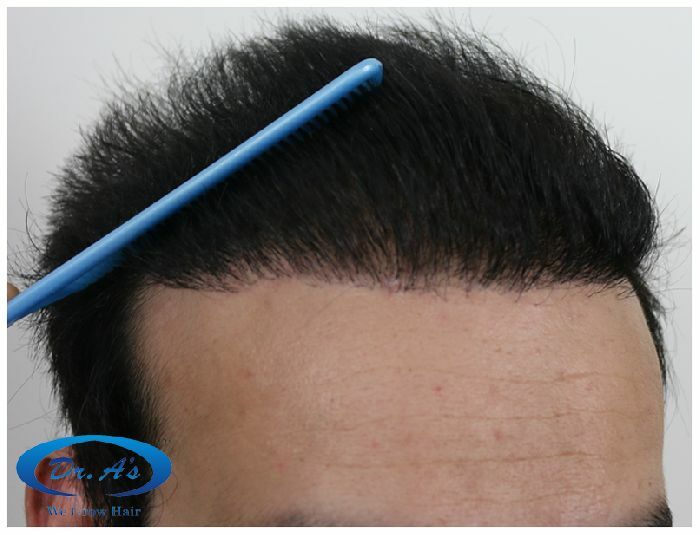 Most of these hair were extracted by FUSE/fue in his 1st surgery at Dr. A’s Clinic (without any visible scarring). 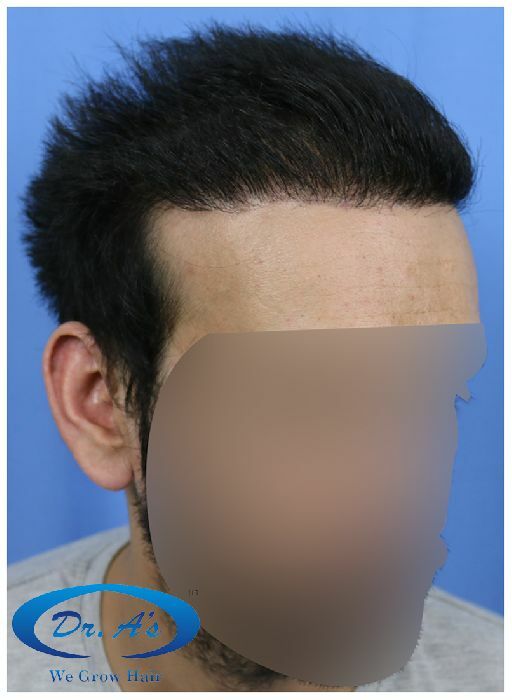 The remaining few will be removed in his 2nd session.